Samsung’s first round smartwatch codenamed Orbis will be officially called Gear A and it might be announce alongside side with Note 5 on 12th August. The Orbis will feature an Exynos 3472 dual-core processor clocked at 1.2 GHz and the Mali-400 MP4 GPU clocked at 450 MHz, 768 MB of RAM, 4GB of on-board storage, and a 250 mAh battery. As for connectivity It will have Bluetooth 4.1 to connect with smartphones and tablets, and other variant with Wi-Fi 802.11 b/g/n support as well Wi-Fi Direct will be supported. The watch will also have inbuilt GPS, accelerometer, gyro, barometer and heart rate sensors, and will run Tizen with a new UX designed specifically for the circular screen. 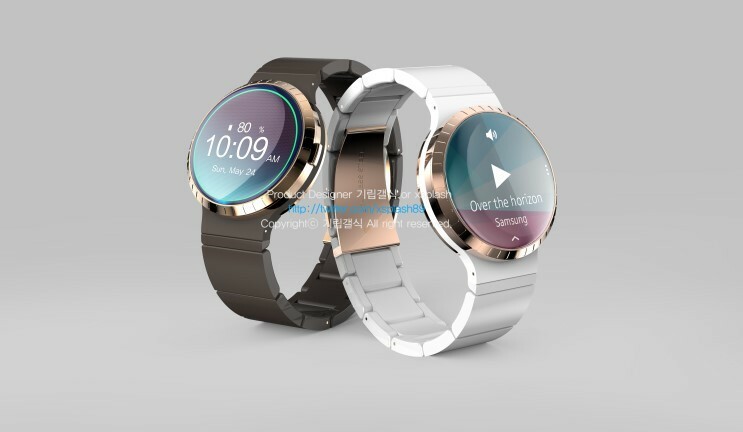 The watch will feature a Super AMOLED display with a resolution of 360×360. The bezel ring on top will no doubt affect Samsung’s decision on how big the touchscreen part of the display can be, and it is rather hard to make a guess. The Gear A’s bezel ring will be used to control the UI, as seen in the image above.